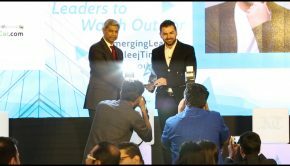 Saygin awarded “Technology Leader” by Khaleej Times! 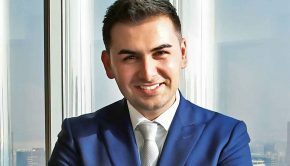 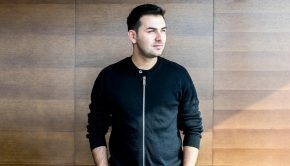 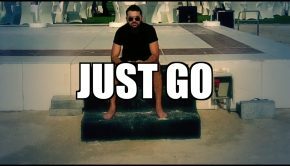 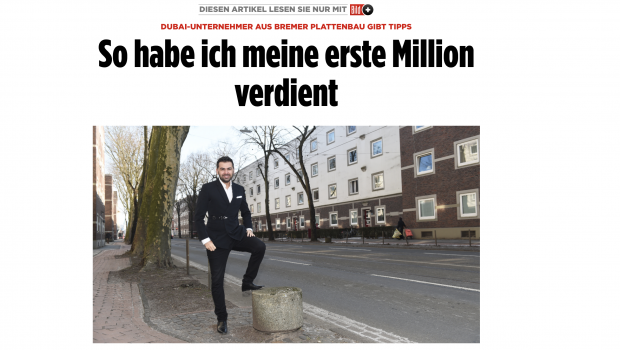 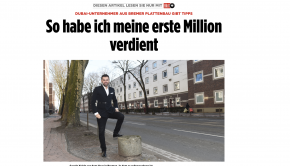 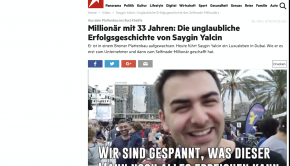 Bild Plus: Saygin Yalcin: How to make it. 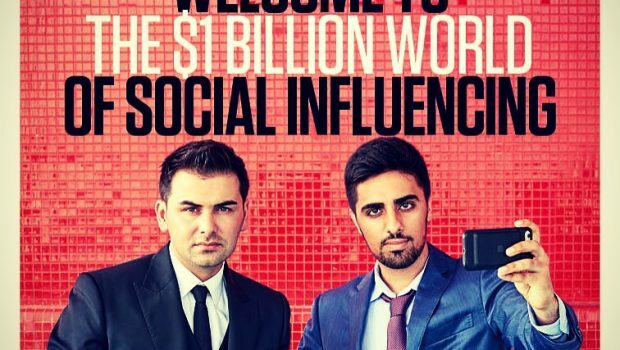 Saygin and Mo Vlogs on the cover of Arabian Business! 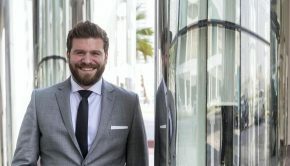 Host Chris Nelson talks to the entrepreneur and businessman about how he has found success building businesses in the UAE. 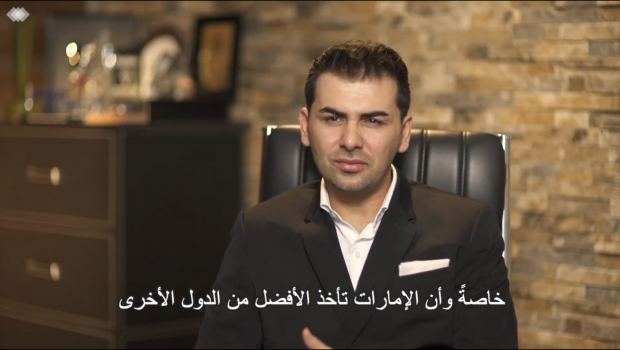 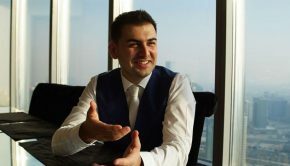 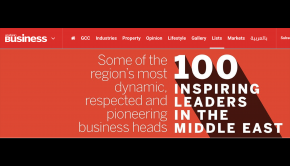 Arabian Business selected Saygin Yalcin as 1 of the most dynamic, respected and pioneering business heads in the Middle East. 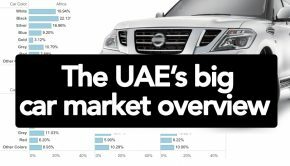 And all you need to know about buying and selling cars What is going on in the UAE car market? 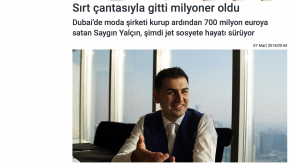 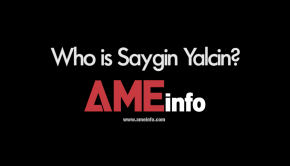 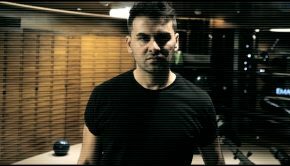 Saygin Yalcin supports UAE Gov Games! 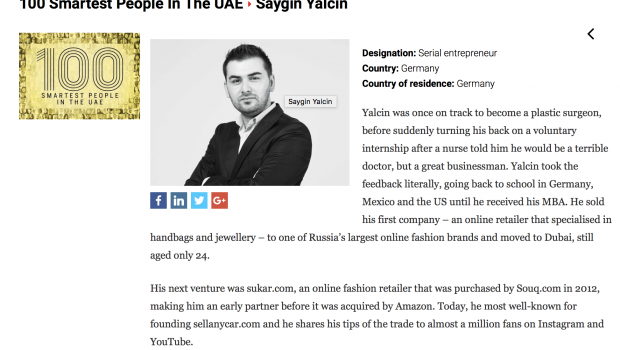 Saygin is the Founder & CEO of the Middle East's (ME) first & largest car buying service, SellAnyCar.com and Founder of the first & largest online private shopping club in the ME, Sukar.com, which has been acquired by Souq.com, making him Partner at the Souq.com and Jabbar Internet Group, becoming the largest ecommerce company in the Arab world, with 3000+ employees. 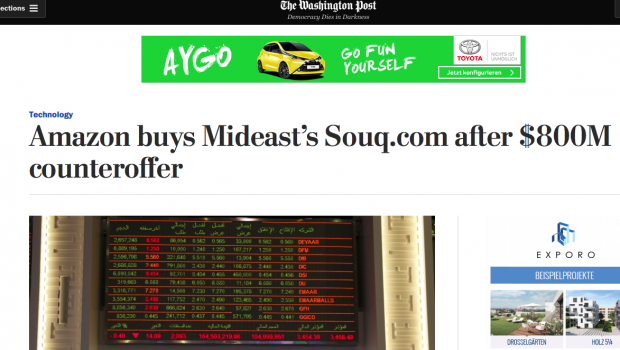 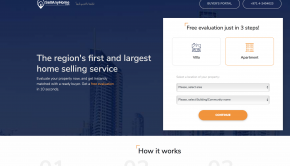 In its largest acquisition outside the US to date, Amazon.com has acquired Souq.com Group. 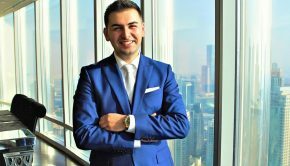 He has been selected as a UBS Industry Leader.